Closing date for entries 28th February 2017. I hereby enclose entrance fee of €30 cheque, Bank draft or Postal order (do not post cash). 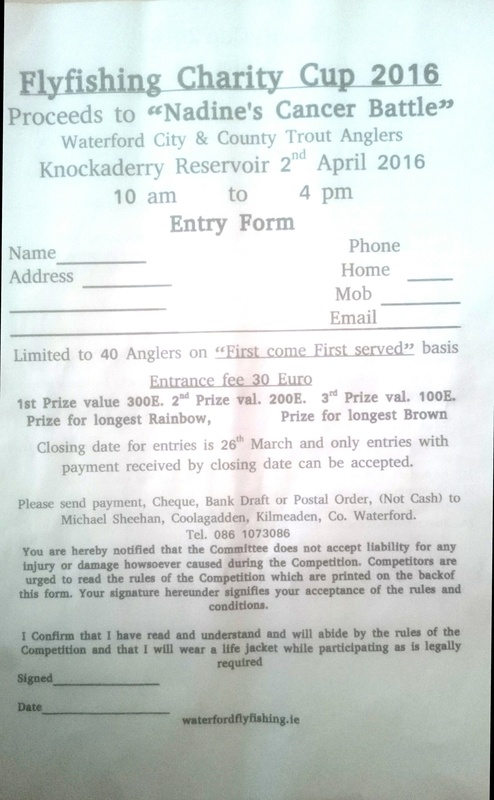 Payment is non-refundable entries are limited to forty anglers on a first come basis. You are hereby notified that the committee do not accept any liability for any injury or damage, howsoever caused, during the competition Competitors are urged to read the rules of the competition. Your signature hereunder signifies your acceptance of the rules and conditions. I confirm that I have read and that I understand and will abide by the rules of the competition and that I will wear a life jacket while participating as is legally required. Competition starts at 10am and all boats must be ashore by 4pm. 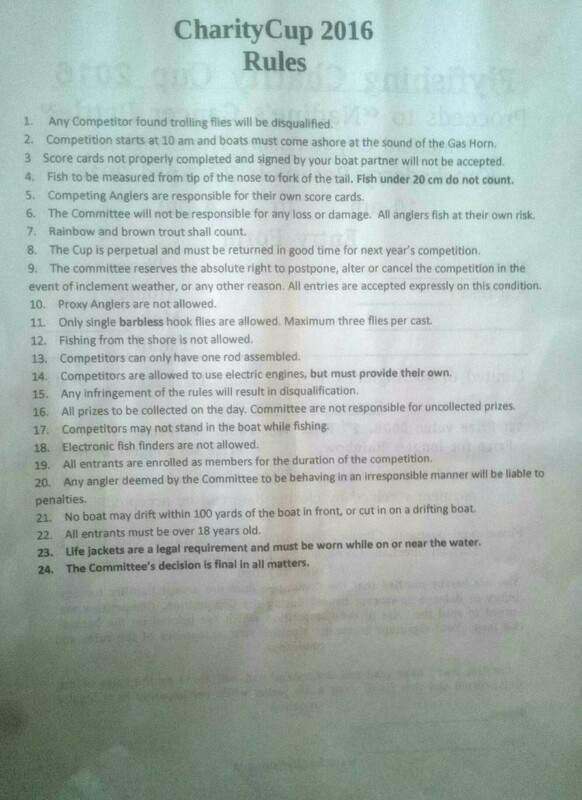 Score cards will not be accepted from any angler unless it is filled out correctly and signed by boat partner. Fish to be measured from tip of the nose to fork of the tail. Competing anglers are responsible for their own score cards. The committee will not be responsible for any accident or loss. All anglers fish at their own risk. Rainbows and browns will count. The cup is perpetual and must be returned in time for the next year competition. The committee reserve the absolute right to postpone alter or cancel the competition in the event of inclement weather or any other reason. All entries are accepted expressly on this condition. No proxy anglers are allowed. Competitors can only have one rod assembled. Fishing from the shore is not allowed. Competitors are allowed to use electric engines but must provide their own. Any infringement of the rules automatically disqualifies the competitor. 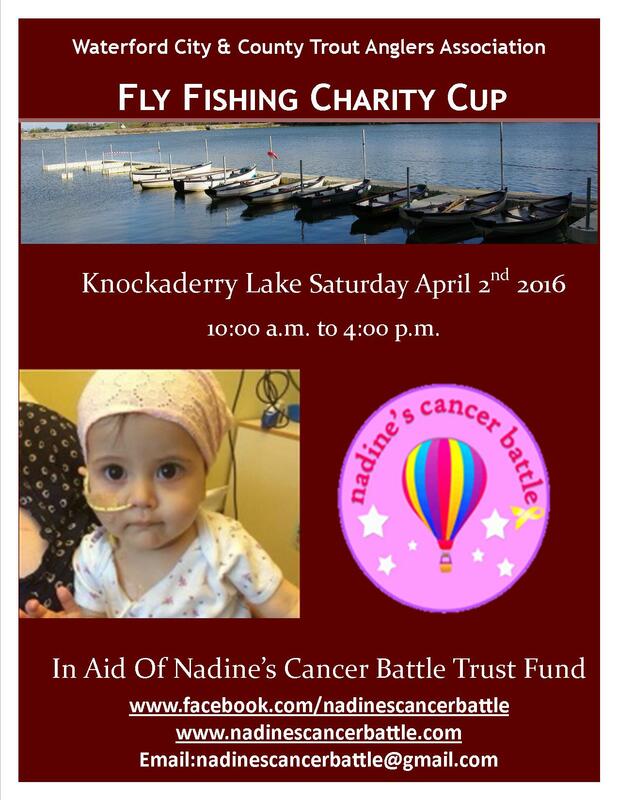 All prizes to be collected on the night the committee are not responsible for uncollected prizes. Competitors may not stand while fishing. Electronic fish finders are not allowed. All entrants are enrolled as members for the duration of the competition. No boat may drift within 100 yards of the boat in front, or cut in on a drifting boat. All entrants must be over 18 years old. The committee’s decision is final in all matters. Life jackets are a legal requirement and must be worn while on or near the water. Click on the link below for entry form and rules.